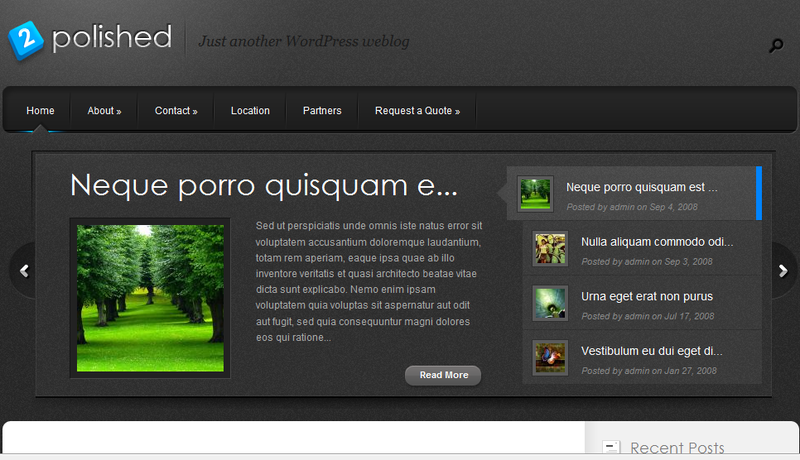 October 5th in Premium Themes by Wordpress Jedi . If you are a WordPress portal developer, you probably always look for ways to create WordPress sites in a more efficient manner. Developing a WordPress theme from scratch can take a lot of time, but you can always join a WordPress membership site and build your portal based on a premium theme. There are going to be some licensing issues but most membership sites allow you to use their themes for your own project if you choose the right licensing package. Elegant Themes is an awesome WordPress membership site that gives you access to lots of cool WordPress themes for under $50 a year. You get access to lots of themes that you can use for any occasion. Not only these themes are well designed, but you also get all the PSD and Photoshop files that you would need to be able to customize their look and feel. 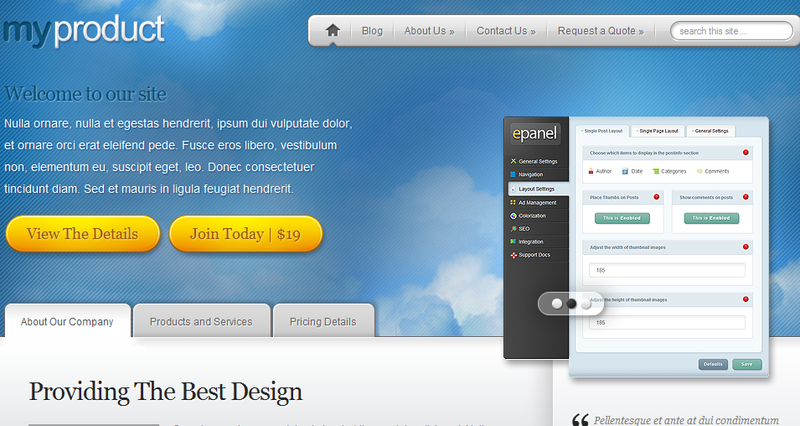 They take advantage of ePanel, which is one powerful back-end. 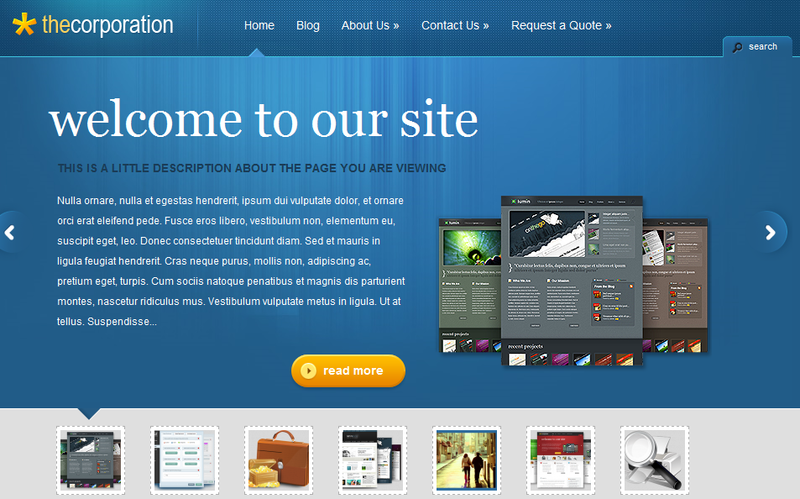 It doesn’t hurt that these themes are optimized for the latest version of WordPress and are search engine friendly. DeepFocus: DeepFocus is a powerful online photo gallery theme that is dynamic and very good looking. It takes advantage of short-codes and is ready to be localized. 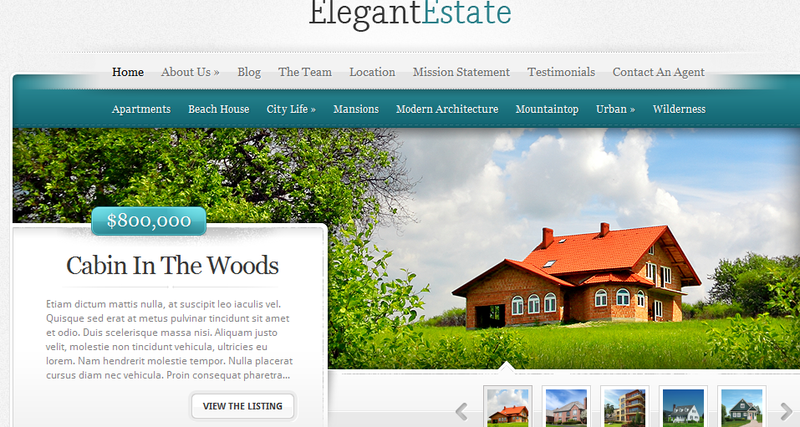 ElegantEstate: want to start your very own real estate website? ElegantEstate is just the theme for that. It has 5 color schemes and plenty of features for your visitors to take advantage of to find the home they are looking for. eStore WordPress Theme: eStore is an online shop theme that transforms your website into a fully-fledged shopping portal. It supports PayPal. It is easy to customize too. MyApp WordPress Theme: MyApp for WordPress is a theme for iPhone application developers. Quite easy to setup, so you can focus on selling your app online instead of coding your site. 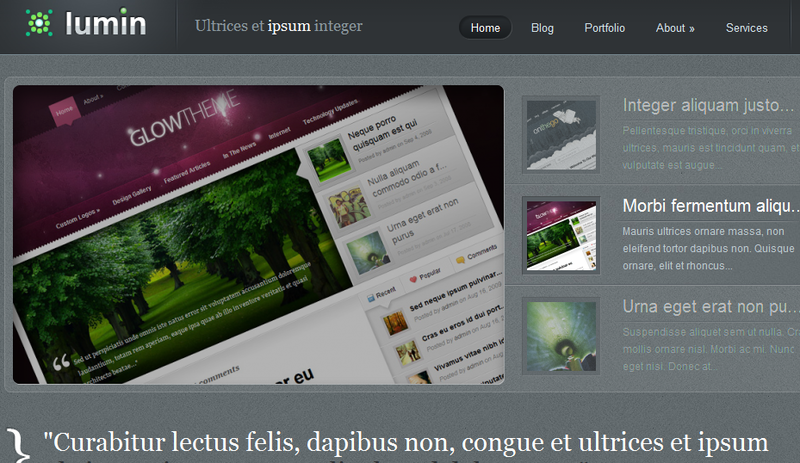 TheSource: TheSource is another super dynamic theme that is very flashy and great for magazine-style sites. It has a very eye-pleasing design. Can be localized too. MyProduct: MyProduct theme is a pretty handy theme for those of you who have your own products and want to start selling it online. Supports a side-blog and has 5 different color schemes. 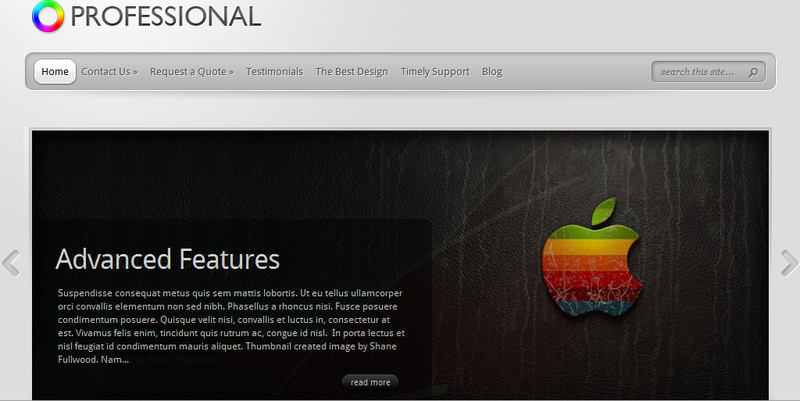 TheProfessional: this theme is pretty clean and attractive at the same time. TheProfessional is a very good solution for freelancers and small businesses. 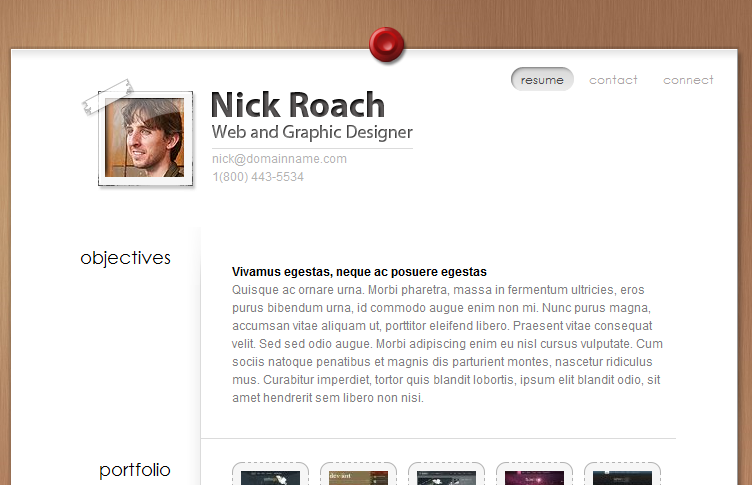 Glider Theme: Glider Theme has a very unique layout that adds more jazz to your personal website. It has a fully featured gallery for your photos too. Minimal: Minimal is a very simple yet highly customizable theme for WordPress that gives you a head-start with your website but gives you the chance to design your website as you wish. MyResume: MyResume is the fastest way to take your resume online and get it on its very own domain. That way recruiters will have an easier time checking your credentials. Who knows what doors will open for you. 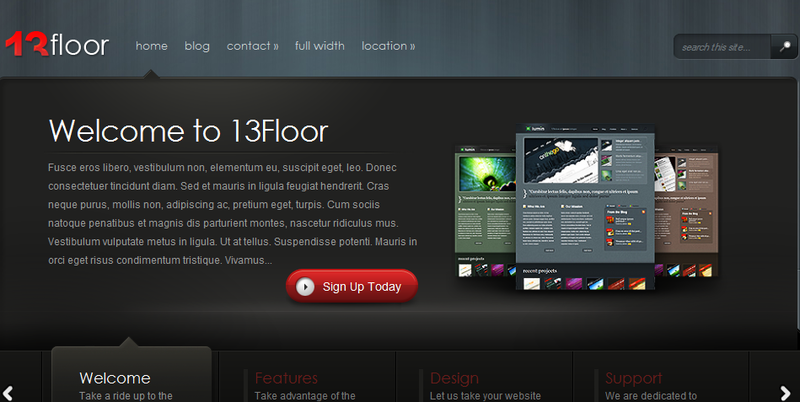 13Floor: 13Floor is a sharp, juicy portal theme for WordPress that comes handy for businesses and those who are looking to build more than just a blog. It is a dark scheme but very sharp. Polished: Polished is a very polished hybrid WordPress theme that can be used by businesses and bloggers a like. Very flexible and quite dynamic. 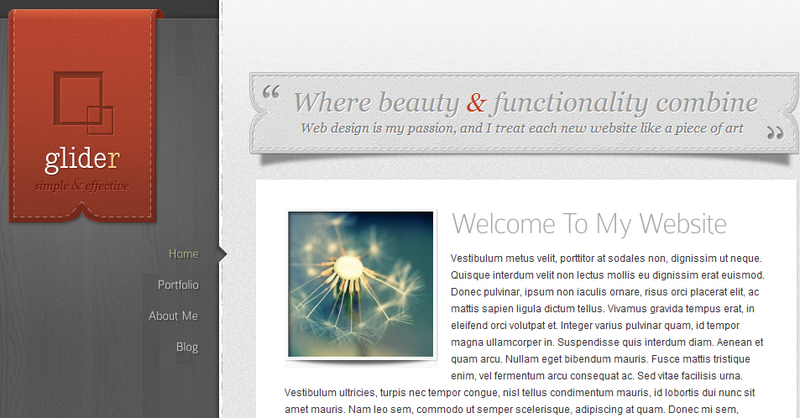 Lumin: Lumin is an attractive CMS style theme for your WordPress site. 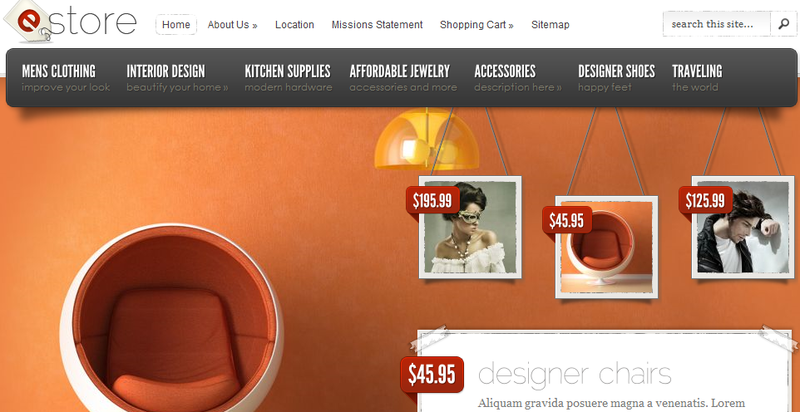 It can be used to create your own online portfolio or dynamic multimedia websites. TheCorporation: TheCorporation is specifically created for small businesses and startups. Whether you have a product to promote or want to build a presence for your startup, this theme gives you a head start. 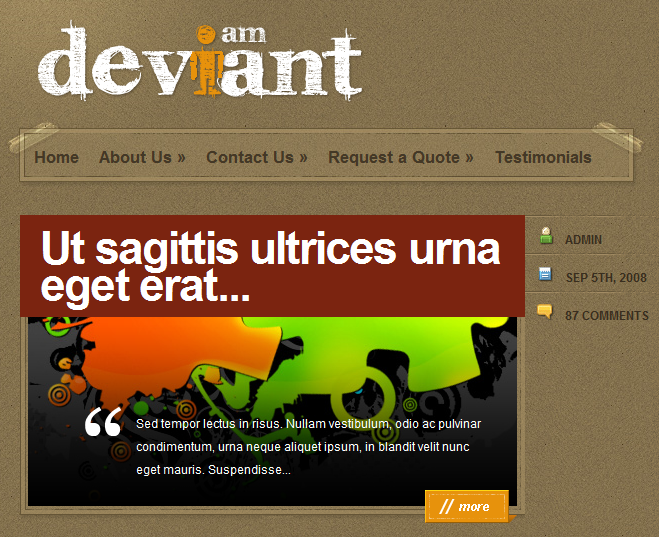 Deviant: Deviant is a colorful theme for those who want to create a fun, in-your-face type of blog. It comes with 6 color schemes as well. Great for personal or character blogging. ePhoto: ePhoto is a cool looking portfolio theme for WordPress that lets you upload your photos and promote your pictures on your WordPress blog fast. It can be used to start your own photoblog too. eGamer: eGamer is a dark premium theme designed for those who want to start their own gaming website. 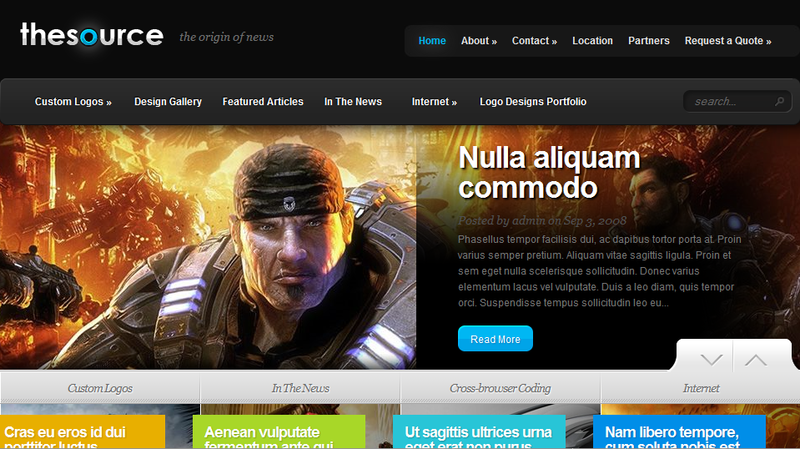 Whether you want to blog about the new PS3 or just build a Xbox 360 blog, this is the theme to use. eVid: this membership service would not be complete without a video-blogging theme. eVid is easy to customize. You can easily add videos to your vlog fast. eGallery: eGallery is an attractive gallery theme for artists. Whether you are a painter or a photographer, you can display your best work online by using eGallery. Who’s Who: Who’s Who is a portal/blog hybrid theme that lets you create your own political blog fast. You can also use it to develop portals about other topics as well. Very easy to add your images to and is SEO friendly as well. Which one is your favorite Elegant Themes theme? 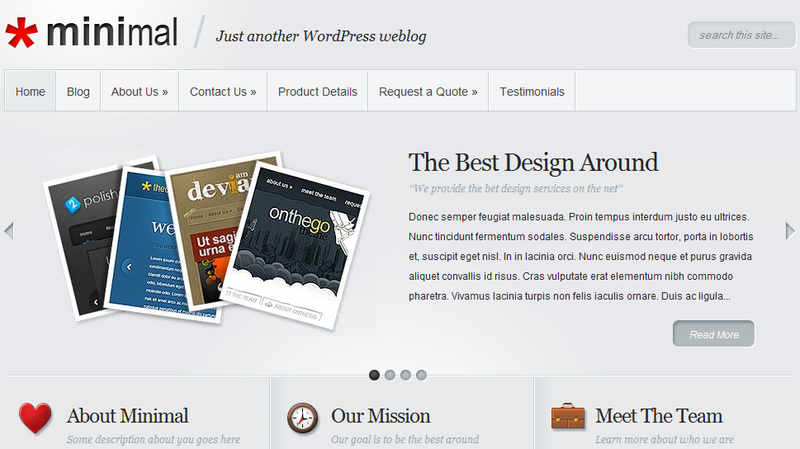 It makes me sad that these are so beautiful and only set for wordpress.org.